PHOENIX, the optical, non-contact 3D sensor from WENZEL, can quickly capture both geometric elements and flat surfaces made of various materials in a single operation. Solutions by WENZEL, one of the leading manufacturers of innovative measuring technology, are now used in almost all branches of industry, including the automotive, aviation, energy generation and medical sectors. 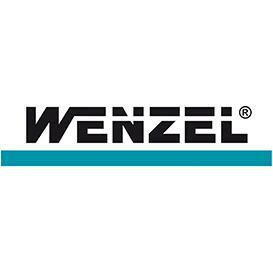 Founded in 1968, WENZEL currently has over 10,000 machines installed worldwide. Subsidiaries and agents in over 50 countries provide sales support and after-sales service for customers. One of the latest innovations from the industry's largest family-run company is the new structured light projection and image processing sensor - PHOENIX. The optical, non-contact 3D sensor PHOENIX quickly captures geometric elements and flat surfaces made of various materials in a single operation, providing accurate measurement results at high speeds. It can therefore be used in many areas of quality assurance and production measurement directly in the production environment. For instance, thanks to its lightweight design, the sensor can be connected to WENZEL coordinate measuring machines using the Renishaw autojoint and can be replaced in cycle with a Renishaw probe so that even complex features that are difficult to access can be measured in the same program. PHOENIX can also recognize different surface structures and colors, and even read barcodes for process control.